The pointed end of an arrow. This is attached to a wooden shaft but the wooden shaft rarely survives. 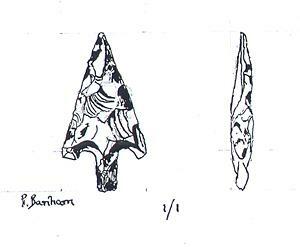 Arrowheads can be flint, copper alloy or iron.